Two students from Gower College Swansea will represent Wales on the national stage at upcoming electrical and plumbing competitions. Jay Popham was named the winner of the recent regional heat of the SPARKS UK Electrical Apprentice of the Year Competition which was held at the College’s Jubilee Court campus. He will now head to the SPARKS Grand Final in Bracknell on 11/12 April where he will compete for the overall title and prizes worth over £8000 donated by sponsors and contributing manufacturers, including Platinum sponsor Schneider Electric. 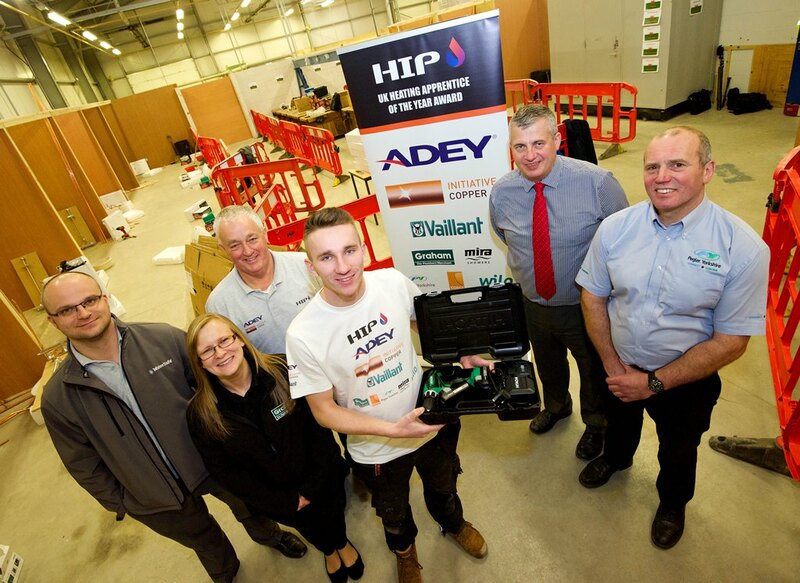 Luke Evans was crowned the winner of the regional heat of the HIP UK Heating Apprentice of the Year Competition which means his place at the HIP Grand Final in Cheltenham on 25/26 April is assured. The overall winner of that event could walk away with prizes worth over £9000 donated by the competition’s sponsors and contributing manufacturers. This includes a £1000 cash prize from Platinum Sponsor ADEY for the winning student, as well as a £1000 cash prize for their college. The UK competitions are organised every year by SPARKS and HIP Magazines for students on Level 2 and 3 courses.